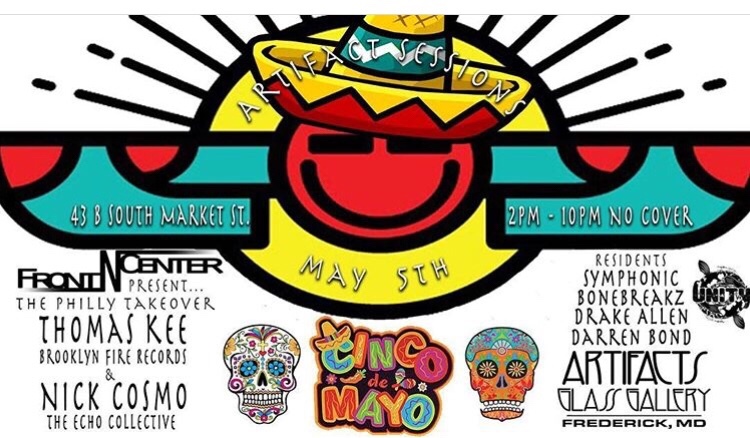 Next Saturday is Cinco de Mayo and to celebrate, Artifacts Glass Gallery in downtown Frederick, MD is hosting live glass-blowing demos with Pennsylvania artist Kevin Beecher on the patio, DJs spinning inside, and the immaculate, the visionary, your hero, ME! The party is going from 2-10pm and is FREE to attend. I don’t want to miss my afternoon siesta, though, so I’ll be there from 6-10pm. I also do bar mitzvahs and bikini car washes. Hit up my agent, Scully. Artifacts Glass Gallery is located at 43 S Market St, Frederick MD 21701. 301-360-5509 for more info or Follow them on Instagram. Gear, Head Shop, Marijuana Business, Maryland, Now Available, Pop-Up. Bookmark.